I am running a PSAudio NuWave Phono Converter and Vinyl Studio software to transfer some LP’s to JRiver, and I am bothered by very loud hum present on the recorded copy. This also seems to have exposed a previously unnoticed hum in playback of a regular LP as well. I am using Analysis Plus cable, ClearAudio Stradivari V2, and Origin Live Conquerer arm. I thought the software had a feature to remove this, but I such a newb to this process. Hoping some of you experts out there can help sort this out. Good luck. I am so fracking glad to not have those issues now. Knock on wood. I have a ground on the tonearm wire but never grounded the table itself. bag o' clip leads (or a hank o' wires) -- start grounding stuff to other stuff. Repeat 'til hum is vanquished. Alsosee this thread if you haven't already Perusal of it may (or may not!) be helpful. any other component has a nonpolarized plug) -- try flipping the plug's orientation in the AC mains power receptacle 180 degrees. One orientation may reduce or eliminate 'ground loop' or induced hum. If the plugs are all three-prong or polarized (one blade larger than the other), of course, this cannot be done -- nor should it be necessary as the orientation of plug in socket should be correct... as long as the socket's wired correctly!). My table has only the tonearm cable going directly to the arm itself. There is no reason for it to do what it’s doing unless there is something wrong with the cable. Could something in the path have a higher gain? You, sir, are acting as an antenna -- inducing a signal into a conductor that's not at RF ground potential. Not to sound like a broken record but I still think your fundamental problem is (probably) what's called a ground loop. Ground loops happen when multiple components' grounds are connected together but are not connected to the "global" ground. Such a ground loop can be at a slightly different absolute potential than earth ground, and a small current can thus flow. Since our environments are utterly saturated with induced AC at 60 Hz from power lines and our home wiring -- the result of the ground loop is a low hum. Breaking the ground loop can be accomplished a couple of ways -- one way (arguably the best) is just to connect the looped grounds to "true" ground. That's what that bag of clipleads is for! Sorting out grounding issues can be vexing and is largely empirical, IME/IMO. Not hard, but it requires some patience and luck. Because of the commercial implications (them poor roadies, man! ), there's another way to attack ground loops -- the so-called "passive box". 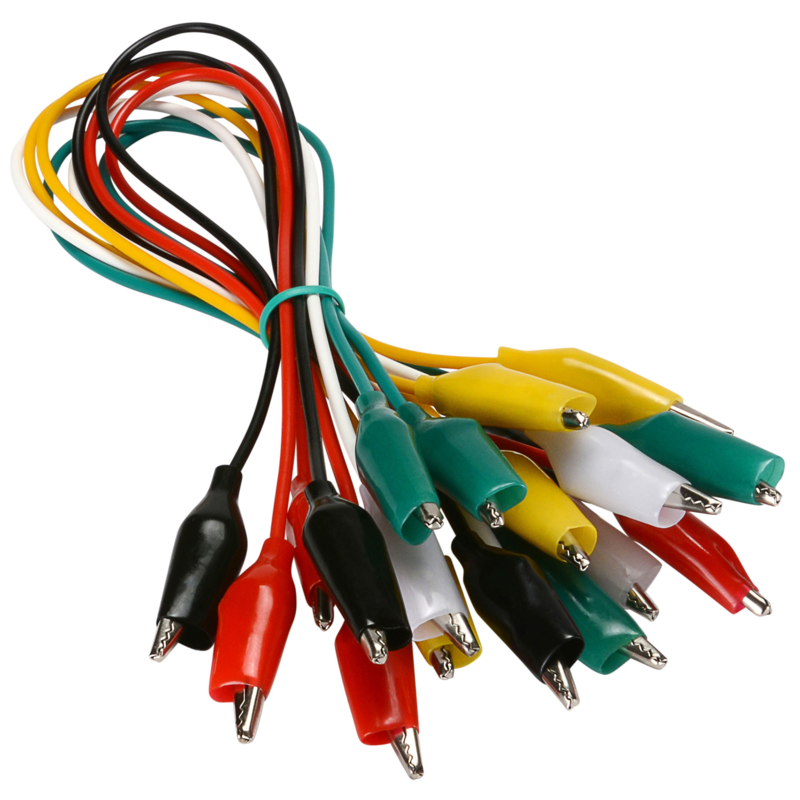 These are typically designed for balanced interconnects (XLR or TRS connectors), or unbalanced interconnects using "pro-style" connectors (1/4 inch phone plugs, like a TRS phone plug but only two-conductor) -- but of course they could be adapted for home use (RCA unbalanced connectors). Now it's certainly possible your hum has another source -- but I'm bettin' on grounds. Here's a fun experiment you can try (just keep any volume levels low if you do! ): Assuming your interconnects are (all) unbalanced -- take one of the two RCA plugs (L or R channel) and pull the plug half way out of its socket... enough to disconnect the outer shield, but leave the center pin "in". Since grounds between the two channels (e.g., in a preamp) are usually "common", this may still allow both signals to pass, but eliminating one ground path. Sometimes (sometimes) the hum may magically go away. Other times, not so much. This suffers from some of the above but may be worth perusal. I ran a ground from the turntable tonearm board to the NuWave Phono Pre, and eliminated the noise when I touched the table. I further isolated the noise to being channel specific, and it moved when I swapped the cable. Moving through the chain, the noise seems to come from the tonearm cable, and its not the first trouble I have had with this cable. It has already been replaced once. I was able to stabilize the noise for now, virtually eliminating it by how the cable is positioned, but certainly not a permanent fix. I will at least be able to play with the software while I get my search on for a new cable. Upon further review, the noise may be coming from inside the tonearm itself. As I brought the stylus over to a record the noise started again. Gentle tapping on the pivot made it go away again. Is it possible that RF energy in the room is causing this and not a ground issue? Maybe my Sony TV that hangs above the turntable? Hey, are you a Yankee? Born below the Mason-Dixon Line in DC. Well, I was born in B-more -- but I've adopted to Yankee frugality. 1. Run a ground wire from the base (Non moveable part) of the tonearm to the TT chassis. Don't forget the TT motor could be a source of RF and should be grounded also. 2. Run a ground wire from the TT chassis to the pre-amp chassis. 3. Run a ground wire from the pre-amp chassis to the PC chassis. That should take care of any ground loop issues. Any chance there might be an issue with my right channel tube amp causing feedback? I have grounded the tonearm base to a ground at the phono pre, and then to the back of the PC... the noise is gone for the most part, but there is still a buzz at the right channel. I have noticed that even the act of gently closing the door on that side is enough to cause a loud buzz, which settles down after a few seconds. 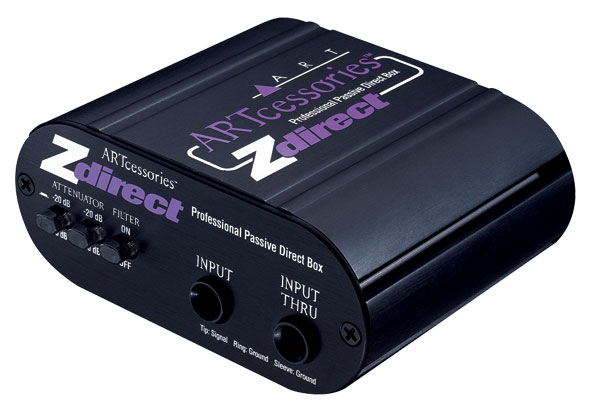 Tapping the right channel is enough to recreate that buzz, but no noise occurs when tapping the left amp. Some power tubes going micro phonic perhaps? -- that sounds like either microphonics or a cold solder joint (or other loose connection). You can swap tubes between channels (if the topology permits such) and see if the 'issue' follows a tube. Might wanna try -- with everything off and de-energized, of course -- pulling the preamp tubes and cleaning the pins (I use a Q-tip shpritzed with a little DeOxit, then dry with another Q-tip or paper towel) and re-inserting 'em into their sockets. Might even want to re-tension the sockets, but I'd (FWIW) start with the pins. EDIT: Power output tubes are not terribly likely to be (or to become) microphonic (IME/IMO) -- I can't say it's not possible, but it's usually preamp (small signal) tubes -- particularly if there's some substantial gain involved (although it can happen with other small-signal tubes, such as phase splitters, IME, too). My preamp is solid state, so no luck on that one. mmm -- well, soiled state stuff can get microphonic, too... less common but not unknown. Are the only tubes in your "tube amp" the outputs? If not... any and all small signal tubes are suspects. Usually at least two per channel upstream of the power outputs (assuming a push-pull amp), the voltage amplifier (driver) and a phase splitter. That stuff could be solid state (e.g., the early McIntosh hybrid integrated MA-230, if memory serves, was all transistor upstream of the power amp), but usually not (again IME... I have no idea what your amps are like). Still, your 'issue' sounds like a dodgy connection someplace. Also worth checking the condition of any and all switches (toggles, pushbuttons, etc. ), multipole selectors (e.g., "function" or "source" selectors, if so equipped) and pots. They may be dirty/noisy and need to be cleaned of oxidation. oops, I wuz wrong -- looks like the MA-230 had small signal tubes upstream of its PP 7591A outputs. The amps would be the tube amps I built several years ago and are the only tubes in my rig. I think I will set everything up to run off my AVR and see if that solves anything. Others have provided a lot of good troubleshooting advice. I would ask how close is your turntable/phono pre to your power amps? The EM field generated by power amp transformers can generate hum in phono gear. They share the same shelf and sit about a foot apart. The amp in question is closest to tonearm. The way my rig is set up, moving anything is out of the question, unfortunately. What could be used to shield the tonearm from the amp? alternatively, try turning the phono preamp 90 degrees with respect to its current orientation (if you haven't tried that already). 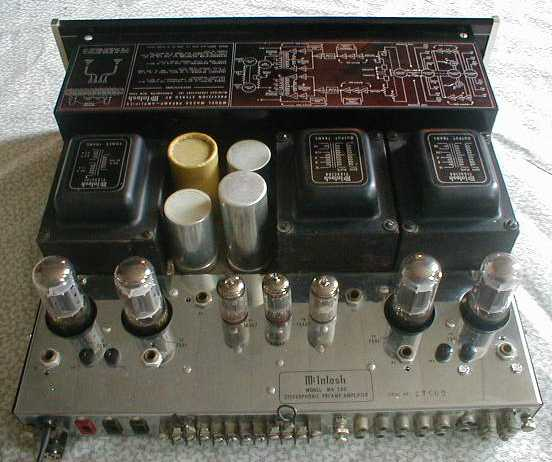 ... and, not to flog a deceased equine but -- your power amp(s)... let's try this again... are there any other tubes in it (or them, if they're monoblocks) besides the output tubes? If I read your signature correctly, they're some sort of Carver things(?)... if so, based on most Carver tube stuff I've seen, I would think that there are some small-signal tubes in there, too! One, or more of those could be part of your issue. Understood on the tubes. There are three tubes on the front end and six kt150’s. 12AX7, 12AT7, and a 6AL5 are the tubes up front. Build a Faraday cage for your amp... It'll be a cheap solution, and you can make it look pretty. The amps have been eliminated, but I did find one weak power tube that will be replaced. The noise is confined exclusively to the right channel. It can be nonexistent at the beginning of the LP, but as the stylus moves across the record, it becomes more apparent. Between tracks I can hear it change in intensity, with it getting progressively worse as the arm sweeps towards the spindle. I tend to think if there were EMF interference between amp and tonearm/cartridge that I would hear the noise in both channels. I am suspecting a ground issue or a frayed wire within the tonearm itself.